Strategic Arts Management is able to receive donations through the Theatre Nova Scotia Theatre Partnership Program. Click here to access the Canada Helps Form for Strategic Arts Management. Please note that since this donation service is maintained through Theatre Nova Scotia and their Theatre Partnership Program, it may appear on the form that Theatre Nova Scotia is the recipient of the donation. Rest assured that your donation will be given to SAM! Donate with a cheque made out to Theatre Nova Scotia and mailed or delivered in person to Theatre Nova Scotia. Please include Theatre Partnership Program and Strategic Arts Management in the memo on the cheque. 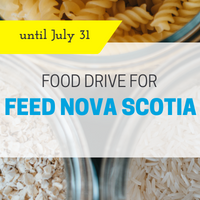 Donate with a credit card number by sending the card number and expiration date by mail, or submitting it over the phone (902-425-3876) to or in person at Theatre Nova Scotia. Donate with debit or cash in person only at Theatre Nova Scotia. Please mention the Theatre Partnership Program and Strategic Arts Management whether donating by mail, over the phone, or in person. The registered charitable number for Theatre Nova Scotia is 119063394RR0001.